It’s understandable to feel a little guilty about taking time to go out for coffee or do some meditating when you’re the parent of a young child. After all, your instincts are to be there when your little one needs you, and that’s a big responsibility. 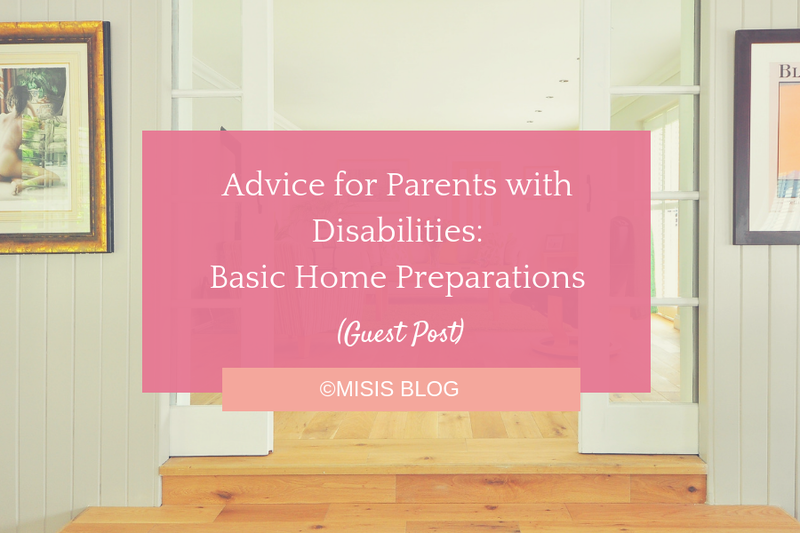 But if you’re a disabled parent, it’s especially important to rest and renew yourself so you’re better able to provide the level of care you want and your child's needs. Self-care isn’t a manifestation of personal selfishness; rather, it’s an essential part of being an effective, nurturing parent. If you’re a disabled individual with mobility restrictions, getting outside for some fresh air and sunshine between feedings may be difficult. Without some respite, spending so much time inside can be frustrating and will eventually take a toll on your mood and mental outlook. Everyone needs some of the healthful vitamin D your body gets naturally from sunlight, and there’s nothing quite as invigorating as a lungful of clean air after a long day of changing diapers and preparing bottles. So spend an hour or so out on the deck each day or take a quick stroll just to clear your head when your little one is napping in their stroller. You need it, and your child will benefit as well. Decluttering and organizing your environment will help alleviate some of the stress that hits you now and then. Your bedroom is one place that should be as soothing as possible, so make sure it’s a restful, clean and quiet space where it’s easy to aim for the 7 to 9 hours of sleep your body needs. Install blackout curtains if light is a problem, and keep all screens (TV and computer) turned off while you’re sleeping. It’s also a good idea to maintain a temperature below 72 degrees to keep your body temperature down, which will facilitate good sleep. Diet also has a lot to do with how you feel and your ability to maintain a positive perspective through the late-night feedings or random temper tantrums. Take the time to prepare healthy, nutritional meals rather than relying on fast food for the sake of convenience. Make a point of including vegetables, fruit, whole grains, and protein in each meal, and whip up a protein shake for those between-meal occasions when you need to get something in your stomach. Self-care is a very broad term; it means a lot of things and not just good food, exercise, and sleep. 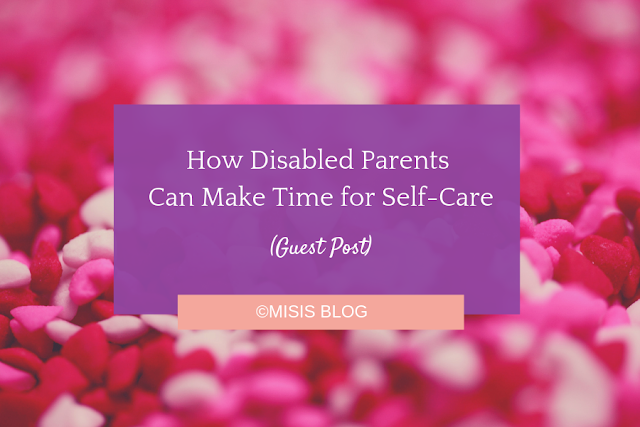 As a disabled parent, your days are taken up with caring for another, which means you need to find ways to care for your soul. Arrange with your partner or a family member so that you can get a few hours during the week or weekend to enjoy doing something that’s meaningful to you. That could mean watching a favorite old movie, reading a book, playing a video game, or spending time writing in a journal (a highly therapeutic habit). In the long run, setting aside time just for you will make you a better mom or dad. When you’re spending so much time with a little one, it can be easy to lose perspective. Some parents begin to feel depressed, or worry that they’re not doing a good job. Sometimes you just need to talk with someone who cares about you, who knows you and always seems to have the right words at the right moment. Talk, text, or FaceTime with a good friend or relative each week. Share your frustrations and funny parent stories. Before you know it, you’ll be laughing or having a good cry - both are good because you’ll be venting emotionally and getting it off your chest. A disabled parent can benefit greatly from a loving, supportive voice reminding you what a good person and parent you are. Parenting is already a physically and emotionally taxing role, particularly when caring for a little one. As a disabled parent, it’s even more important for you stay mindful of your need for self-care and your child’s need for a rested, strengthened, and well-adjusted parent. And don’t underestimate the value of maintaining a restful and orderly living environment. There are so many great things about living in a small home — the ease of maintenance, the cozy feel, the cheap utilities. However, small spaces have one big downside: It’s hard to find places to store all your stuff! If you’re sick of living in a home that feels cramped and cluttered, you need to try these small-space organizing tips. If you don’t have a designated home for your stuff, it inevitably ends up scattered around the house. Organize each room in your home so everything has a place that makes sense. If you use something frequently, store it in a convenient spot — you’re more likely to put things away if it’s easy. Items that you use only a couple times a year can go in harder-to-reach places, such as in the attic or under the bed. 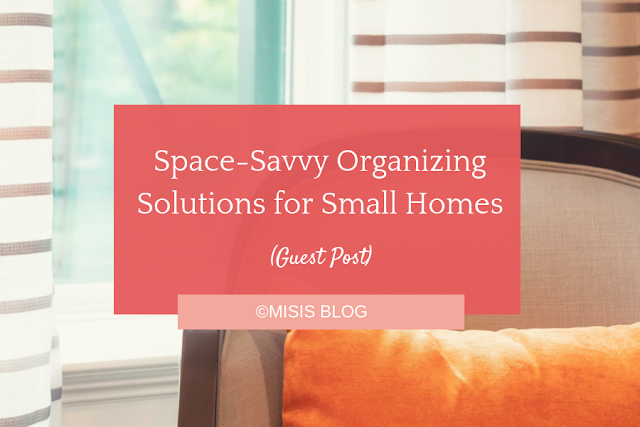 Need more guidance to get your home organized? Family Handyman has eight organizing rules every home should follow. You already don’t have a lot of square footage in your home. And if you store stuff on the floor, you’ll shrink your home’s livable space even further. Instead of using horizontal space to store your stuff, look vertical. Narrow shelving units make great use of corners and other awkward spaces, floating shelves add storage without impacting your floor space, and hooks keep frequently used items in arm’s reach. If you need to add a lot of storage, built-ins are your best bet. Built-ins like shelves and cabinets dramatically increase your home’s storage capacity without affecting its square footage. Built-ins are also ideal for utilizing dead spaces or adding storage in rooms where freestanding shelves look out of place, like the kitchen and bathroom. A cabinet maker is your best bet for custom built-ins that match your home’s design. You can find a cabinet maker in your area by scanning online reviews and using apps that connect you with local companies. If your bed and coffee table are just a bed and coffee table, you’re not making the most of your space. Rather than buying furniture that does one job, choose pieces that pull double-duty. Furniture with built-in storage is one space-saving option, but you can also buy couches that double as guest beds, turn a shelving unit into a stylish room divider, or use an end table to hide your cat’s litter box, which is always a good idea when you have guests over. You’re not limited to the one rod and shelf that came standard in your closets. Increase your closet space by hanging a second rod, adding a second layer of shelving, or using the back of the door to hang small items. (Speaking of hanging stuff on doors, check out One Good Thing by Jillee’s ideas for back-of-door storage). When you’re trying to store a lot in a small space, it doesn’t take long for your closets and cabinets to turn into a jumbled mess. Keep things organized and easy to find with storage containers. You can buy storage containers to fit every space and purpose, from your pantry and kitchen to your sock drawer. When you don’t have a lot of space to work with, you have to be smart and crafty about how you use it. Otherwise, your cozy home ends up looking cramped — and no one wants that! Now that you’re armed with these space-savvy tips, you’re ready to start organizing your small home so it feels bigger than ever. I haven't been able to spend time writing on this blog as much as I wanted to for the past weeks (or months! 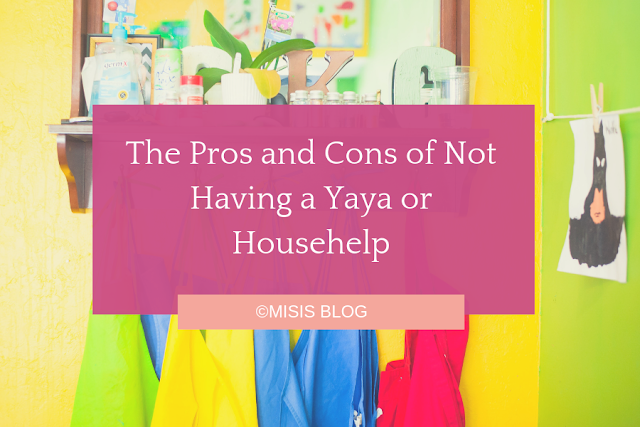 ), all for one reason: we don't have a yaya or househelp anymore. In the Philippines, it's common practice to hire a stay-in yaya (or nanny) who also doubles as a househelper, as there are rarely daycare centers for very young children here. Most daycare centers only cater pre-school-aged children, so while your baby is still too young for school, they are usually left in the care of a family member. But in the case of small families like us whose grandparents and relatives live in the province, we're left to our own devices here in the city. In Cebu, there's a new 24-7 daycare center that accepts babies as young as 6 months old: Amuma Childcare Services. It's actually the first that I've heard of in the Philippines, and their services (childcare, feeding, educational playtime, nap times, etc.) are quite really attractive. However, we find their rates honestly expensive in relation to our monthly budget, so it's out of the question for us. It is, of course, a good option for other working parents. As a work-at-home mom, I was reliant on our previous yaya to tend to the household chores and entertaining our baby while I worked. But then again, after more than a year of staying with us, she had other plans. Imagine having a stranger live in your house 24-6 (because they have a day-off, of course!). Now imagine employing that stranger; ergo, it also means you need to act like a formal "boss" 24-6 in order to set boundaries (and also beget respect, because, honestly, you can't imagine just how rude yayas can be when they see you have your guard down). It was so exhausting having to maintain a facade in front of our yaya back then, being careful with my actions so as not to give her a negative impression on us as employers. Most importantly, we had to be very careful with our valuables (i.e., money, cellphone, wallets, etc.) and not leave them just about anywhere in the house, so as not to tempt our employed housemate. Now that we don't have a yaya, we have the freedom to do anything we want—use the comfort room with the door open, leave our loose change wherever, and goof around whenever. It's really a good feeling to have your guard down in your own house! In the Philippines, the standard monthly wage for yayas and househelpers averages between 3,500 to 4,500php. For stay-in yayas, you also need to shoulder their basic toiletries, full meals, snacks, and to some employers, their cellphone load. Not to mention the electricity and water expenses, and mind you, yayas are not the best people to enlist in conserving electricity and water! Since the time we were without a yaya, our grocery and overall household expenses dramatically decreased, allowing us to save as much as 4,000 to 5,000 a month! The thing about yayas is that they're not very consistent and committed to their job. Gave them clear and simple instructions? They forget them about a minute after. Asked them to come home at a certain time after their day off? They arrive the day after, forcing you to leave from work or double the household chores. Told them specifically to be careful with some of your stuff? They break or damage it. What's more is that no amount of asking them nicely or giving them a decent lecture about taking responsibility would leave a lasting impression on them to teach a lesson. They commit the same mistakes again and again and again, which honestly stresses me out more than having to calm down a toddler with a tantrum. Without a yaya to monitor, manage, and give constant instructions to, I find myself happier and less stressed. Of course, baby is also happier to see a happy mommy too! As mentioned, yayas are not the most reliable persons. That's why when I leave instructions, it's almost always never followed, and you have to acquiesce to just letting them do their thing just so long as the job gets done. Being a neat-freak parent, there are things I'd like to be done a certain way because (1) it's more efficient, (2) it leaves lesser mess, and (3) it's more practical (i.e., lesser time and electricity/water consumed). Now that we don't have a yaya, my husband and I have more control over our household chores, and that also includes controlling the amount of cooking oil, dishwashing liquid, condiments, laundry powder, etc., to use when cooking or cleaning the house—all of which equates to bigger savings and a more efficient household. Both my husband and I are very particular with cleanliness and keeping things in order—the same with our one-year-old too, who of course follows by example. Honestly, yayas are not the neatest people in the world. They don't clean as they go, and they're not very mindful about hygiene (e.g., washing their hands after using the comfort room, keeping their hair to themselves and away from the food, cleaning their feet when entering a no-slippers room, etc.). Without the innate neatness and bodily hygiene, it can sometimes leave our household in a constant state of mess to which I have to repeatedly remind our yaya to please clean up, and worse, sometimes having the risk of our baby catching a cold or cough (or head lice!!!) from our yaya. Now, we find our home a lot cleaner than we had a yaya. And because we have more control over how we do certain house chores, like sweeping and mopping the floor and cleaning the comfort room, the quality of cleanliness is ten times better than a hired help! With a full-time homebased job, a baby to take care of, and a household to maintain, you can just imagine how much time I have left for myself—none! I usually wake up early in the morning to have a good headstart with my job while my husband cooks all the food for the day. And when the baby is awake, we do everything together (eat and take a bath) to save time, which also means no "me" time for me. And while I work, our little girl has to play by herself (hopefully without a tantrum) so that I complete my tasks, which I find quite sad and lonely for her not having a playmate. Being a mother who stays at home and with an 8-hour job means double the work! Imagine having everything in one place: your home, your job, your responsibilities, all without breathing space. I am very lucky, however, to have a husband who knows how to cook, clean, do the laundry, and take care of our baby, so we both have an equal share of the household work. And we make it a point to have a few minutes to ourselves at night to recharge. With so much to do at home, an active toddler, and a full-time job? Exhaustion to a whole new level. I'll leave it to that. One of the good things of having a yaya, for me as a mom who stays at home, is that I have someone to talk to while my husband is at work. And of course, when our baby has accidents or is sick, I have someone to assist me. Without a yaya, I only have Kitkit to talk to (who doesn't say much, actually, and when she does, I can't understand her), and I have to wait for 9 to 10 hours for my husband to arrive home and tell him all about our little (mis)adventures at home. It's lonely being at home 24-7 with just our baby to keep me company most of the time, and even with the presence of online friends, it's just not the same with face-to-face interaction (of which I have no time to do so). So Will We Ever Have a Yaya Again? For now, we're perfectly fine without a yaya. And with the real estate investments we have, saving a significant amount of money at this time isn't so bad (in fact, it's great!). But sooner or later, we will opt to get a yaya again, especially if we're planning to have baby number 2 in a few years' time. No matter the disability, people who have them have the fundamental right to create and maintain their own loving family. Yet parents with disabilities often face persistent, systemic, and pervasive discrimination. If you are one of these parents, it may help to know you are not alone. There are 4.1 million parents with disabilities in the United States. That means roughly 6.2 percent of all American parents have a developmental, psychiatric, sensory, or physical disability. Installing grab bars in the bathroom can make mobility much easier for parents with physical disabilities. Grab bars come in different sizes, materials, colors, and finishes to suit your personal preferences. The important thing is installation. Screw them directly into wall studs to make sure they are sturdy and can support your weight. You can also mount them on acrylic or fiberglass tub surrounds by screwing clearance holes using a standard drill bit. For ceramic tile and tubs, use a masonry drill bit to screw clearance holes. There should be two grab bars by the toilet: one aligned parallel to the floor and about five or six inches above the toilet seat, and one perpendicular to the end of the horizontal bar. Stall showers should have a vertical bar just inside where the door closes, as well as a horizontal bar placed slightly above waist-high along the side wall. For shower and bathtub combos, the placement is similar, but the vertical bar needs to be installed opposite the faucet wall. You can’t always pay attention to where you’re going when you’re juggling a baby. Removing tripping hazards in the house can prevent serious injury around the home. If your home has worn carpet that’s peeling or fraying, it’s time to remove it and either replace it with new carpet or consider a hard flooring option. Make sure rugs do not pose a tripping hazard by securing them with tape or removing them altogether. Reduce clutter on the floors by adding more storage options around the house, with things like secret shelves and rolling bins, that you can easily push out of the way. You’d be surprised at how things you used to find simple suddenly become complicated when you are a parent. Beat parental brain fog and fatigue by labeling common items you need with textured tape or braille if you’re visually impaired. This can make things such as meal preparations easier and faster, as you don’t have to go crazy looking for the right item. 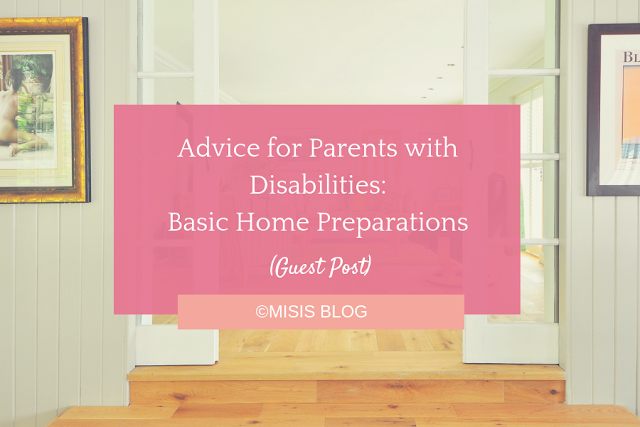 Parenting is a wonderful journey full of surprises—but those surprises don’t have to be accidents due to a disability. You can make your home safer with simple modifications that ease mobility and make daily duties more convenient. From adding grab bars to the bathroom to labeling food in the kitchen, it’s the little things that can give you an edge as a parent living with a disability. Few situations are more stressful and frustrating than having a car full of screaming children on a long road trip. To most, just the thought of having to travel any amount of distance with a troublesome child can cause them to cringe. Not only is this frustrating, but it’s also dangerous due to the distraction the child may cause while you’re driving. 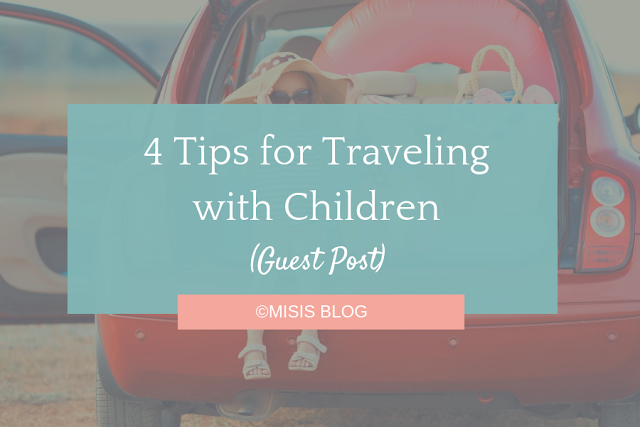 While many of us will avoid having to drive longer distances with a small child, sometimes it is simply unavoidable. Fortunately, there are ways of making the trip easier, more relaxing, and less frustrating. Try some of these simple tips to get started. Kids seem to engage in a wide variety of activities as part of their regular play. However, did you know that hobbies can help kids improve their fine motor skills and cognitive abilities? Not only that, but hobbies are great for developing creativity and socialization skills. There are endless hobbies your child can discover, so you’re bound to find one that they can be passionate about. Learning music can actually help your child perform better in school. By exercising their ability to recognize sounds, music increases children's language development skills. Music also helps with pattern recognition which can be beneficial in mathematics. Plus, the challenges involved in learning an instrument are a wonderful way to teach patience and self-discipline to any kid. Help your kid get started by bringing them to a music store and letting them try out different instruments. If your school has an extracurricular band program or after-school music lessons, make sure you take advantage of these. Many people grow up without learning how to cook. Don't let your child be one of them! Getting kids involved in the kitchen is one of the best ways to teach them about nutrition and give them a deeper appreciation for the food they eat. Plus, following recipes can help boost their math skills as they connect concepts learned in school to practical applications. Encourage your children to help you with dinner prep, or get them involved in shopping. Perhaps they’ll even end up making meals for you one day! Kids love to collect things such as coins, rocks, buttons, and stamps. Although these collections may seem a bit silly, they can actually help your child learn about the world around them. For example, finding unique rocks while camping or hiking can teach kids about the various types of minerals and natural formations. If your child is interested, purchase a mineral book and a magnifying glass so they can examine their specimens closely. Help them label their rocks and store them neatly so they remember where they picked them up. Backyard astronomy is a great way to get your kids outdoors and thinking about their place in the world. While examining the stars, kids like to contemplate the nature of the universe, how the world started, and what possibilities exist in space. These questions can get them excited about a career in science! Backyard astronomy is also a great way to spend time with your child while you learn something for yourself. Sky and Telescope recommends starting out with a simple pair of binoculars before buying a more expensive and sophisticated telescope for your child. Then, grab some astronomy books from your library or print out maps of your local sky from the internet so you can identify star clusters and constellations. Setting up little science experiments is tons of fun for children and parents alike. You'd be surprised by the number of fun experiments you can conduct in your own home with household materials. For example, this rainbow magic milk experiment is a simple way to help kids learn about the interaction between soap and fat molecules. Before you conduct an experiment, let your child consider what might happen based on their knowledge of how various substances react. These fun activities can spark a long-lasting interest in chemistry, biology, and physics. Importantly, make sure you create an environment for your kids that allows them to pursue their interests. Remember that they may require lessons, certain supplies, or educational materials to get started. You can even set up a special hobby area where your kid can paint, read, write, or practice music without distraction. 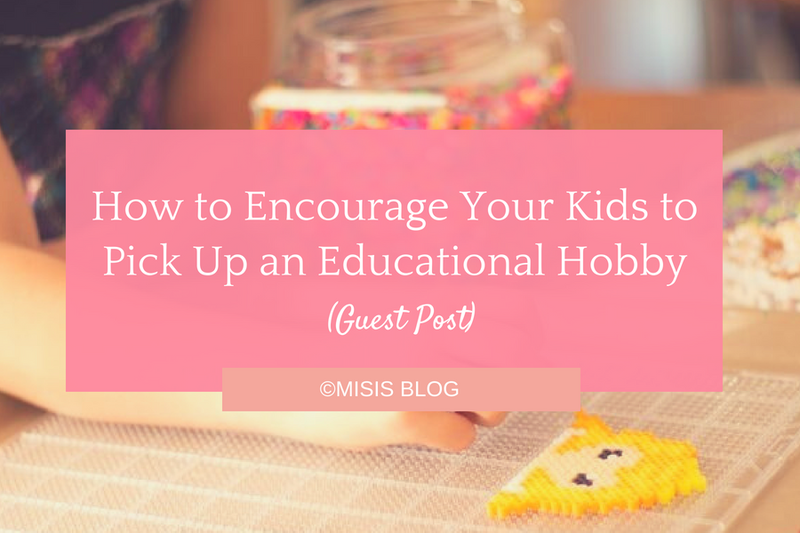 Finally, take the time to participate in their hobby, whether that means helping them out or encouraging them to stick with it.